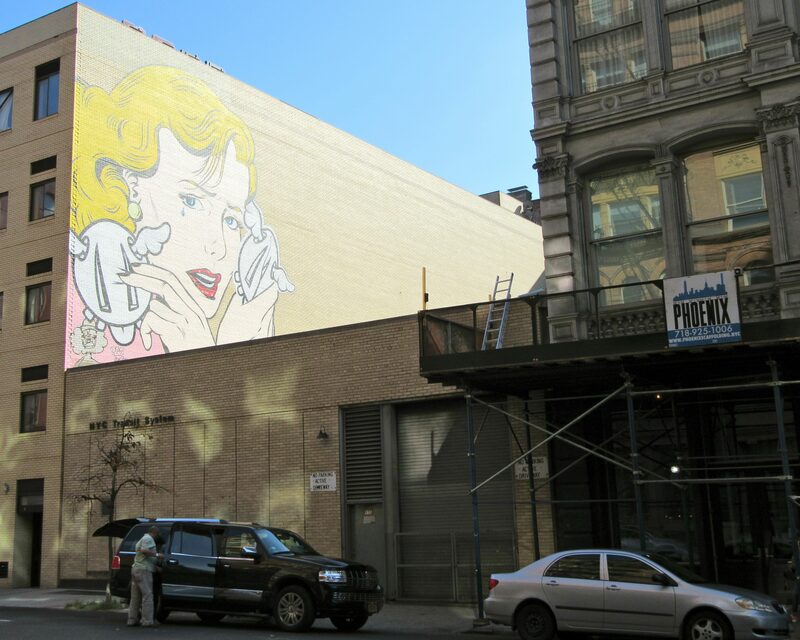 I spotted this D*Face mural of a lovely blonde on Broome Street between Crosby and Lafayette Streets in Soho, NYC. These photos were taken around 5 PM, when the position of the sun makes it look pretty washed out. 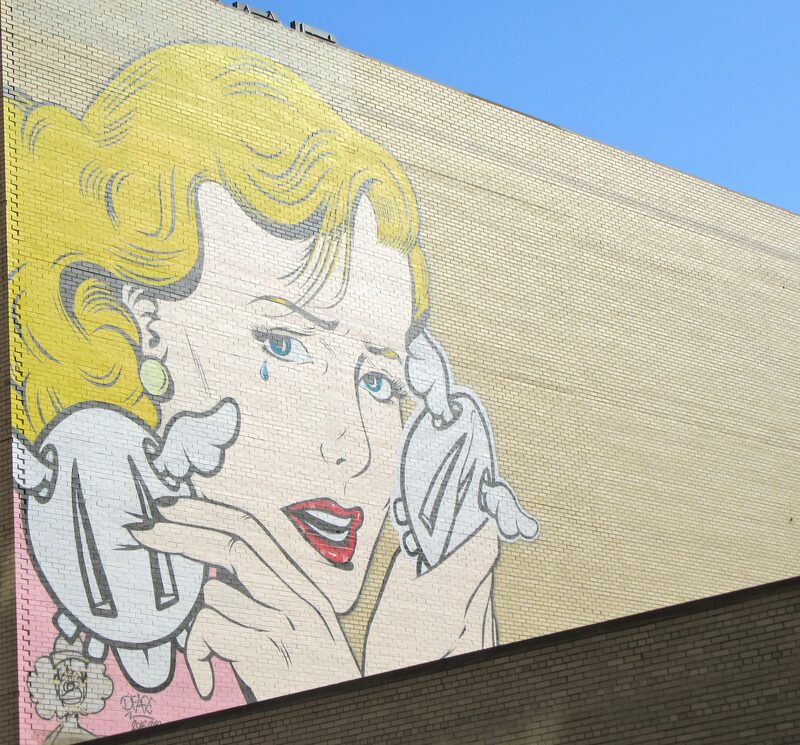 This mural, entitled Double Crossed, is part of the Lisa Project.